Notice: Undefined variable: HTTP_ACCEPT in /mnt/data/web/dkarny/vechra.cz/scripts/browmlscan.php on line 3 Notice: Undefined variable: HTTP_ACCEPT in /mnt/data/web/dkarny/vechra.cz/scripts/browmlscan.php on line 6 Notice: Undefined variable: HTTP_USER_AGENT in /mnt/data/web/dkarny/vechra.cz/scripts/browmlscan.php on line 7 Notice: Undefined variable: HTTP_USER_AGENT in /mnt/data/web/dkarny/vechra.cz/scripts/browmlscan.php on line 10 Notice: Undefined variable: HTTP_USER_AGENT in /mnt/data/web/dkarny/vechra.cz/scripts/browmlscan.php on line 12 Notice: Undefined variable: HTTP_USER_AGENT in /mnt/data/web/dkarny/vechra.cz/scripts/browmlscan.php on line 13 Notice: Undefined variable: HTTP_USER_AGENT in /mnt/data/web/dkarny/vechra.cz/scripts/browmlscan.php on line 14 Notice: Undefined variable: HTTP_USER_AGENT in /mnt/data/web/dkarny/vechra.cz/scripts/browmlscan.php on line 16 Notice: Undefined variable: HTTP_USER_AGENT in /mnt/data/web/dkarny/vechra.cz/scripts/browmlscan.php on line 17 Notice: Undefined variable: HTTP_USER_AGENT in /mnt/data/web/dkarny/vechra.cz/scripts/browmlscan.php on line 18 Notice: Undefined variable: HTTP_USER_AGENT in /mnt/data/web/dkarny/vechra.cz/scripts/browmlscan.php on line 19 Notice: Undefined variable: HTTP_USER_AGENT in /mnt/data/web/dkarny/vechra.cz/scripts/browmlscan.php on line 20 Notice: Undefined variable: HTTP_USER_AGENT in /mnt/data/web/dkarny/vechra.cz/scripts/browmlscan.php on line 21 Notice: Undefined variable: HTTP_USER_AGENT in /mnt/data/web/dkarny/vechra.cz/scripts/browmlscan.php on line 22 Notice: Undefined variable: HTTP_USER_AGENT in /mnt/data/web/dkarny/vechra.cz/scripts/browmlscan.php on line 23 VECHRA EXPRES, spol. s r.o. 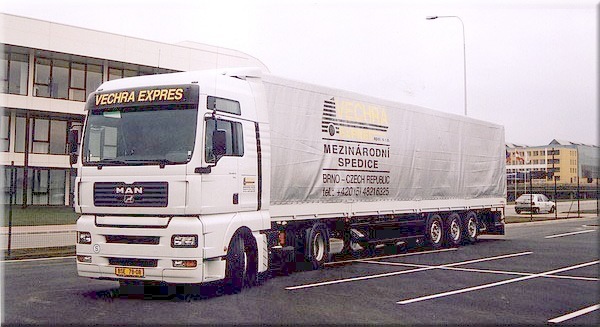 VECHRA EXPRES, spol. s r.o. web by © PC Net CZ spol. s r.o.